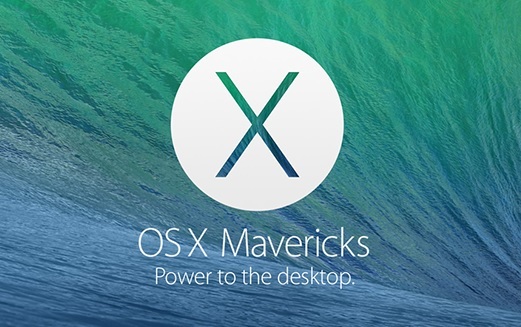 Mavericks OS X is the latest update from the Apple for the MAC users. The new OS update is available as a free download via the App Store. 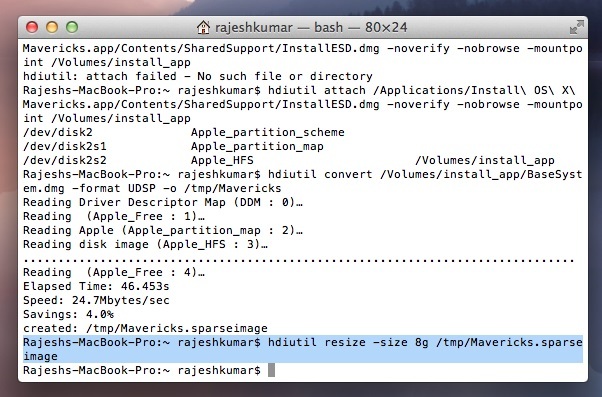 On the same day we posted an article 2 Ways to Create Bootable Mavericks OS X USB Drive. 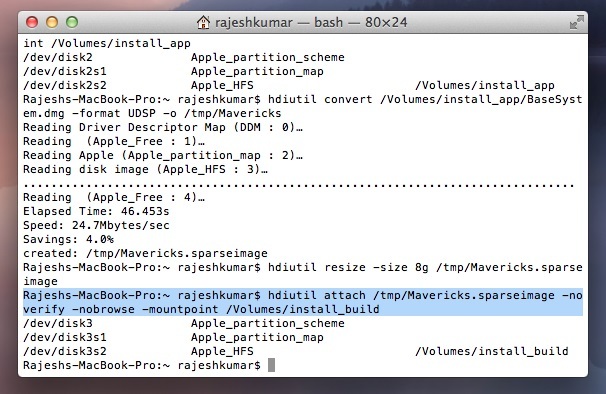 But most of the users are looking for the way to create a bootable Mavericks ISO disc. 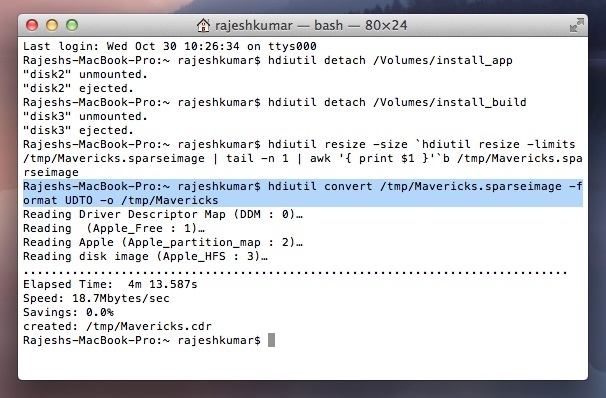 Today we found a new guide which allows you to create the ISO disc from the Mavericks OS X installer package, with this way you can easily install the new OS on multiple systems. The process is simple and take only five to ten minutes to complete the process. 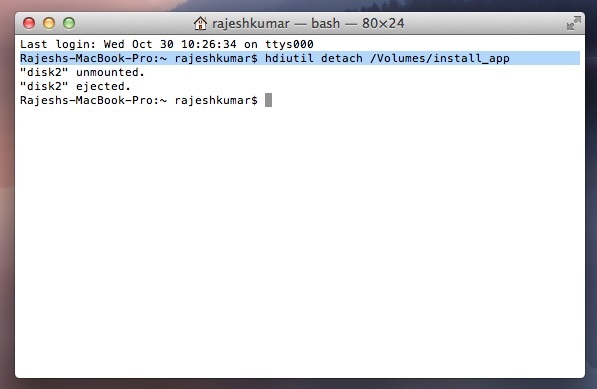 All you have to enter some commands on Terminal app and you will create the ISO image of the new OS X. 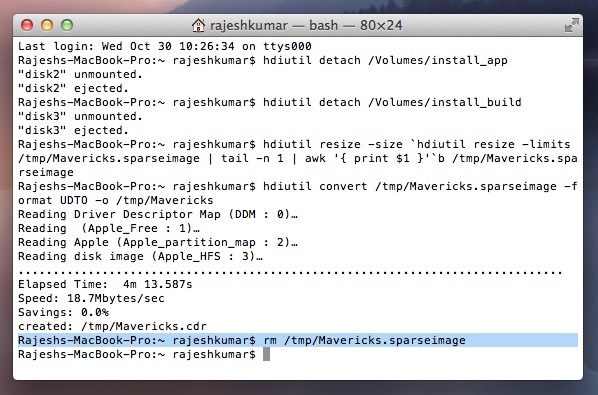 So, to create a bootable ISO file from the Mavericks App, Download OS X Mavericks here and If it tries to start the installation, just close it. 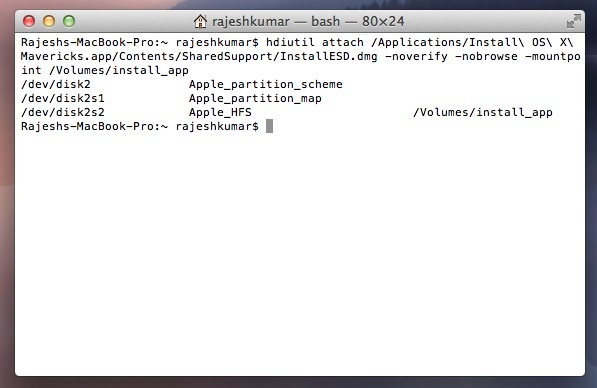 Other wise you will lose the installation package from your hard drive. After that follow the steps below. 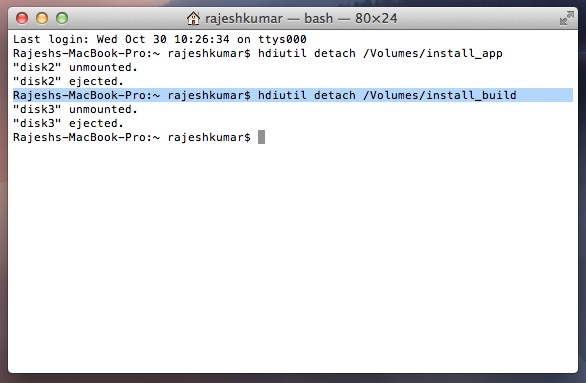 Open the Terminal app on your Mac and run the following Terminal commands one by one. 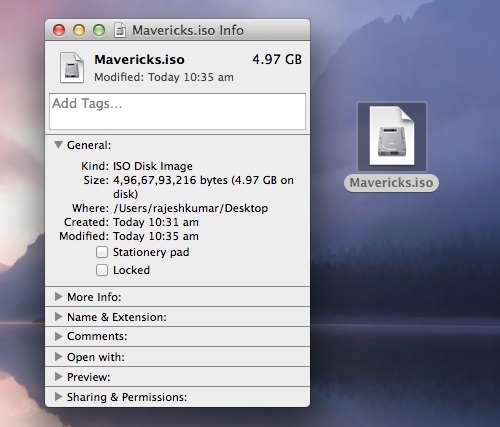 Now the mavericks ISO Image files is created and you will see the ISO file on your desktop. 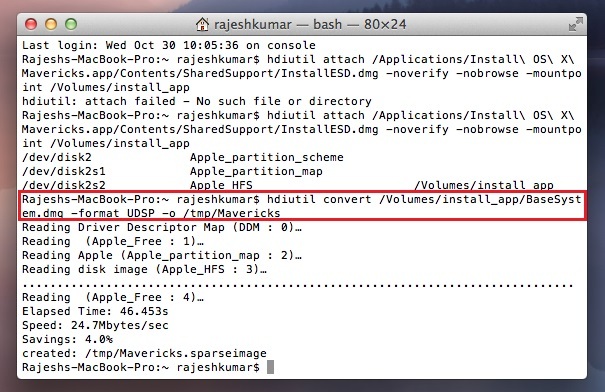 If you want to convert the ISO file into DMG, then you will use the Disk Utility to convert it to DMG file if needed. 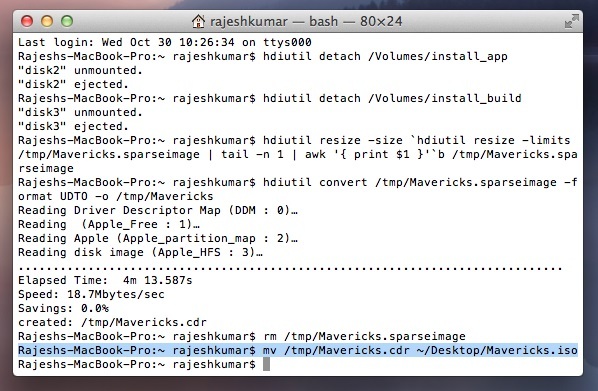 Now you will use the ISO file or DMG file on your disc or USB drive to install the new OS on your multiple MAC. It had an apostrphe vs the right character.